Many are firmly aware of La Liga’s never-ending conveyor-belt of scintillating talent – but while the likes of Lionel Messi and Cristiano Ronaldo, inevitably, continue to enliven Spanish football we mustn’t forget those youthful, fresh-faced folk who are waiting to set the stage alight. Here are three emerging talents from Spain’s top-flight. There is an air of solidity about young Jordi Amat’s style of play. Graceful on the ball, strong in the challenge and an impressive reader of the game – the Spaniard is currently excelling in his loan spell from Espanyol at Rayo Vallecano. Since his arrival he has clocked up over 20 appearances and became a mainstay in the heart of Rayo’s defence, as well as developing a fondness for netting sensational goals, as a fortnight ago he struck from a whopping 50 metres against Real Valladolid in what was a breath-taking solo effort. Things weren’t progressing at Espanyol and the loan move was a welcomed escape. But no-one, not even the hardiest La Liga nut, would have predicted Amat to settle in so comfortably. A representative of the Spanish Under-21 national side, he’ll be hoping he can continue to shine with club and country with the hope of possibly earning a senior cap in the future. Well-built, prolific in front of goal and still only 20, Alvaro Morata has a big future at Real Madrid. And clearly manager Jose Mourinho thoroughly believes in his hot striking prospect otherwise he wouldn’t have made the bold move of playing him in El Clasico for the full 90 minutes last weekend. That’s a hell of a game to be chucked into, yet he coped magnificently, setting up Karim Benzema to break the deadlock. It all began for the rangy striker in the Madrid B Team where he scored nearly 40 goals in just over 70 appearances, a very plausible record. Mourinho and the scouting system recognised Morata’s talents and therefore called him up, in a gradual process, to the senior setup. He made his debut in mid-February, marking it with a goal, and looks set to play an important role in the first team for years to come. 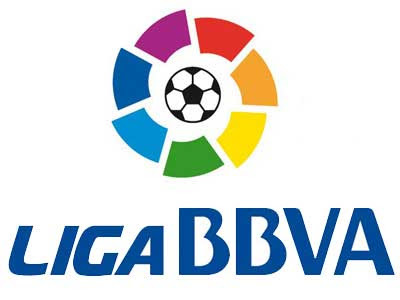 Atletico Madrid – currently enjoying a fantastic season in La Liga – are blessed in the goalkeeping department. In young Belgian Thibaut Courtois, on loan from Chelsea, they have a fine first team shot stopper. However, the man who is trying to budge him off his perch is 22-year-old Joel Robles. 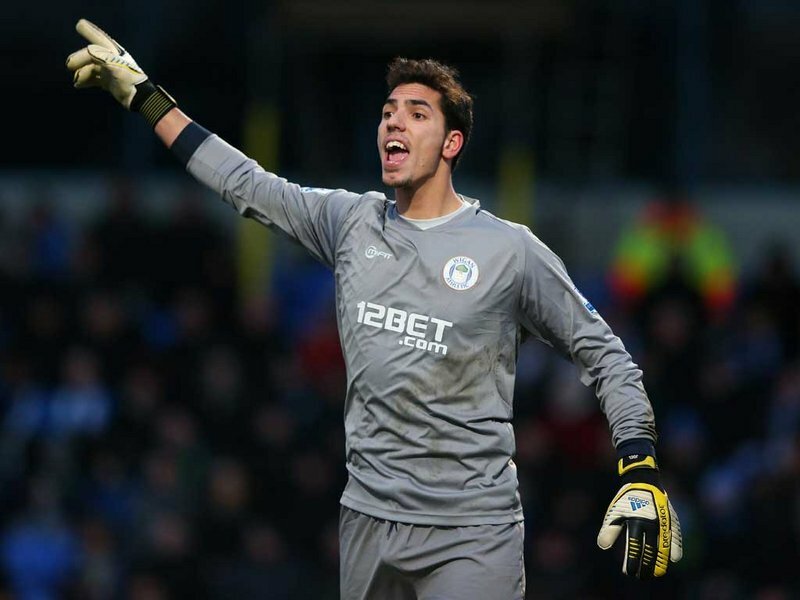 Springy, vocal with defenders and relatively experienced for his age – Robles is currently on loan with Premier League basement club Wigan Athletic. The Spanish youth international made his debut in the FA Cup earlier this year, keeping a clean sheet, but is yet to force his way into a domestic match with Ali Al-Habsi the cemented number one. When David De Gea left for Manchester United in summer 2011, Robles was called upon as first-choice goalkeeper by then-coach Gregorio Menzano. However, it didn’t last very long as Courtois raided his party and took the reigns as number one. 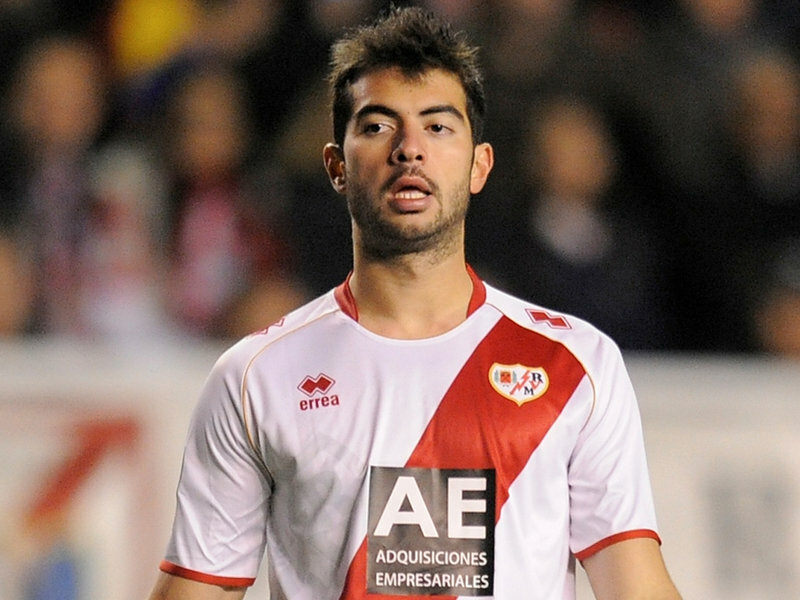 Since, loan spells to Rayo Vallecano – which proved generally unbeneficial – and of course Wigan have followed. If anyone is to get the best out of him and nurture his talent the best at this stage in his career, arguably it’s Roberto Martinez. This entry was posted in Analysis and opinion and tagged alvaro morata, atletico madrid, courtois, el clasico, espanyol, football, joel robles, jordi amat, la liga, messi, mourinho, rayo vallecano, real madrid, roberto martinez, ronaldo, spain, wigan athletic by The False Nine. Bookmark the permalink.